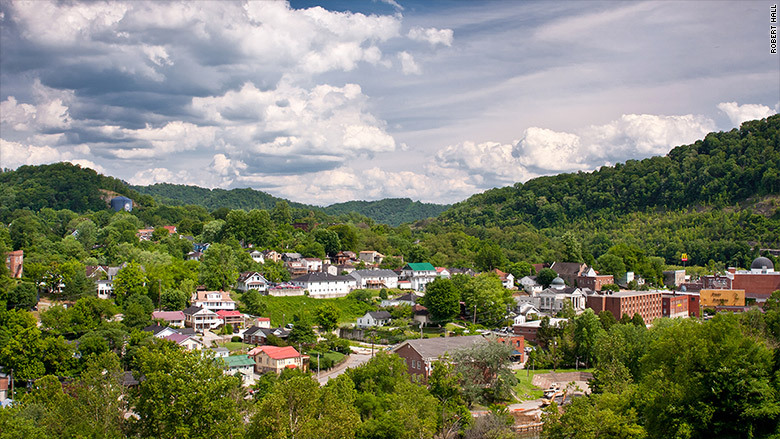 In the small Appalachian town of Hazard, Kentucky, doctors at the local medical center have identified a high-stakes epidemic that has them scrambling in a race against time. It all began in January, when the Hazard ARH Medical Center started offering free voluntary HIV/Hepatitis C testing to anyone who came into the emergency room. 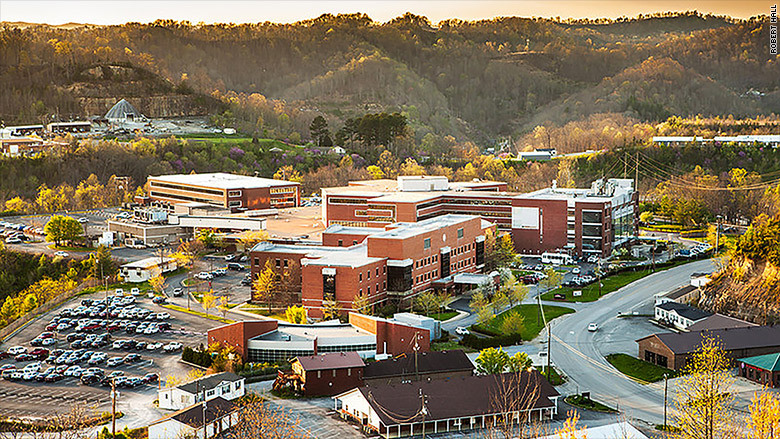 "This is an extremely high rate of Hep C infections," said Dr. Maria Braman, chief medical officer with Appalachian Regional Healthcare (ARH), the non-profit health system operating the hospital in Hazard, as well as 10 others in Kentucky and West Virginia. 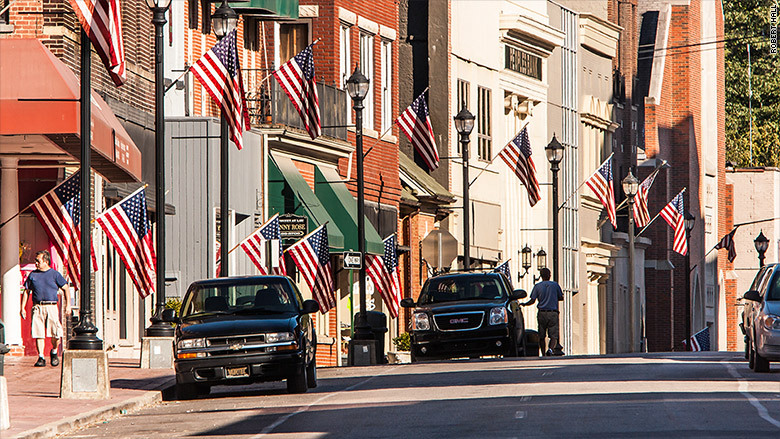 Located in eastern Kentucky's Perry County, Hazard has been hit by a perfect storm of events. The collapse of the coal industry forced many of the town's residents into joblessness and also exacerbated the burgeoning opioid crisis in the region. Now the doctors at Hazard's medical center have found one more toxic side effect of the town's economic demise: A sharp increase in residents with Hepatitis C -- a virus that kills more Americans than any other infectious disease and is extremely costly to treat. In the last nine years, eastern Kentucky (which includes Hazard) has lost over 11,000 coal mining jobs, according to the Kentucky Department of Energy. When the mining industry plummeted, other businesses started going along with it. High unemployment in and around Hazard has triggered a "sense of hopelessness," said Jennifer Lindon, president and CEO of Hazard Community and Technical College. In the last nine years, eastern Kentucky (including Hazard) has lost over 11,000 coal mining jobs. That has made the ongoing opioid problem even worse. "Addiction's reach here has no barriers, from grandparents to parents to their children," said Tonita Goodwin, executive director of the Hazard-Perry County Economic Development Alliance. 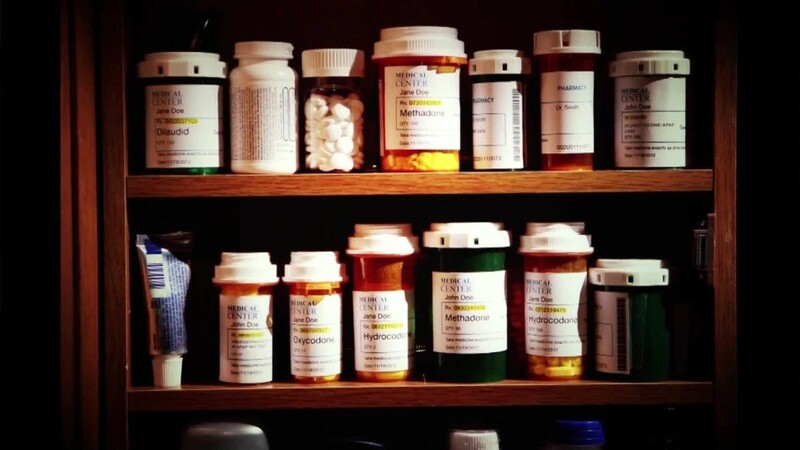 It's especially widespread among the growing ranks of out-of-work miners, who are often prescribed opioid medications to deal with the rigors of the job, said Braman. "Miners contort their bodies, spending long periods of time in small cavernous holes. It puts them in significant pain," said Braman. Abuse of the prescription pain med OxyContin, or "hillbilly cocaine" as it's commonly known in the area, is especially prevalent. "We have a generation that was lost to it," said Minor Allen, Hazard's chief of police. Hazard's Main Street. The town has been plagued by an opioid epidemic that has triggered an increase in Hepatitis C cases. Now things are getting worse. "Meth and cocaine have made it here," said Allen, noting that intravenous drug use has become more of an issue than pills. "In the last four to five years, we're also dealing with prostitution. We didn't really see that before." Of the 251 babies born at the Hazard Medical Center so far this year, 13% were exposed to opiate drugs in the womb, said Dan Stone, Community CEO of Hazard ARH Regional Medical Center. The drugs. The prostitution. All of this means there's a higher likelihood for blood borne illnesses like Hep C, said Braman. Hepatitis C is transmitted via shared needle use, sexual contact or from an infected mother to her baby. The vast majority of people -- 75% to 85% -- who get infected later develop chronic liver infection. The virus can lay dormant for years. As a result, people often don't get tested for it. Symptoms only appear when the virus becomes active and attacks the liver. Patients experience weight loss, fatigue and a loss of appetite. It is the leading cause of cirrhosis and liver cancer and the most common reason for liver transplants in the U.S.
More than 19,000 people die every year from Hep C-related liver disease, according to the Centers for Disease Control and Prevention. There's no vaccine to prevent Hepatitis C, but there is a cure. It's just prohibitively expensive. Gilead Sciences (GILD)is the leading maker of key Hep C medications Sovaldi, Harvoni, Epclusa and Vosevi. But these drugs can cost $74,000 to $95,000 for a typical 12-week treatment. "It's why there's tremendous effort now to help people in this area get tested and prevent more deaths," said Braman. Last December, Gilead gave Hazard's medical center a $385,000 grant to launch an HIV/Hep C testing program. The grant was part of the drug company's FOCUS (Frontlines of Communities in the United States) program, which gives funding to non-profit hospitals and community health centers for HIV, Hep B and Hep C testing. Most of the medical facilities that receive the grants are located in towns caught in the grip of the opioid and heroin epidemic. Kentucky, for example, has an estimated 60,000 people living with chronic Hep C, one of the highest rates in the country, according to the Kentucky Cabinet for Health and Family Services. Nearly one-third of Kentucky's population is enrolled in Medicaid, which will cover the pricey treatments under certain circumstances. The state's Medicaid program spent $69.8 million on Hep C medications alone last year, according to the Kentucky Cabinet for Health and Family Services (CHFS). To qualify for coverage, patients previously had to go through a preauthorization process, which included regular screenings for alcohol and drug use during the first six months of a patient's Hep C treatment. Doug Hogan, a spokesman for Kentucky's Cabinet for Health and Family Services said the state's Medicaid program recently eliminated the screening requirement. Still, the concern among health providers is that many of those who have Hep C won't pursue treatment. Hazard ARH Medical Center, where doctors have discovered a spike in Hep C cases. That's because many of the individuals battling Hep C are homeless. They haven't signed up for health insurance and can't afford treatment, said Francis Feltner, director of the Center of Excellence in Rural Health at the University of Kentucky's College of Medicine. Nearly 10% of the patients who are Hep C positive are incarcerated and many others aren't ready to treat their underlying drug addiction, said Diana Parker, executive director of Hazard medical center's psychiatric center. Libby Turner, nursing administrator with the Kentucky River District Health Department, reported similar struggles getting individuals diagnosed with Hep C through screening programs in its own clinics. "Very few," she said, pursue treatment. Another issue is that there aren't many infectious disease specialists in the area. "So people have to travel some distance to find a physician," said Turner. At Hazard's medical center, doctors have put a protocol in place for those who test positive. "When patients come to us, we diagnose them, stabilize them and then try to get them to a primary care physician, specialist or a substance abuse program," said Braman. The navigator has been instrumental. So far, 30% of the patients have made appointments with primary care providers, specialists, or drug abuse programs to seek treatment, Parker said. But the navigator is just a start. The real fix in tackling this epidemic is creating jobs, said Goodwin of the Economic Development Alliance. "We have to bring jobs back. People here have a good work ethic. If they have a job, they will show up," she said. "We just can't let the situation here get any worse. We have to fix it."